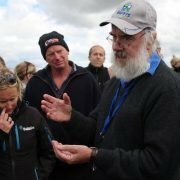 A new species of aphid that is a serious pest of cereals has just been discovered in South Australia and Victoria. It has been found at more than one location which suggests that it is now established in Australia and that efforts to eradicate it will not be successful. The aphid is Russian wheat aphid (Diuraphis noxia). 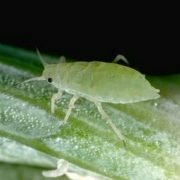 This species of aphid is of particular concern because it can kill plants or abort the head when it feeds on a cereal plant. Obviously this makes it a pest of massive concern. Aphids are preyed on by a whole range of invertebrate predators and parasitoids. 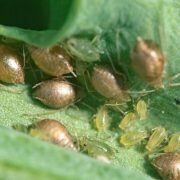 The aphid has escaped its specific parasitoids by arriving in Australia, but it still has to face the generalist predators that eat aphids. These include brown lacewings, hoverflies and ladybird beetles. Exactly the same scenario has occurred in horticulture in recent years. 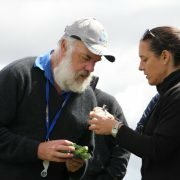 Lettuce aphid arrived and lead to a requirement for Victorian lettuce growers to use a massive seedling drench of Confidor, and in doing so to abandon IPM. 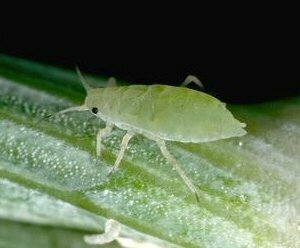 We know that we have an impressive set of predators that eat aphids that we can expect to also eat Russian Wheat Aphid. These predators are killed by applications of broad-spectrum insecticides such as SP’s and OP’s. Problems caused by aphids with the associated virus issues in canola in recent years should provide a lesson. That is, Beet Western Yellows Virus was spread by green peach aphid. Insecticides targeting this aphid did not work (resistance problems) but they did kill the beneficial species that would have otherwise controlled the aphids. What then occurred was an out of control pest with associated virus. 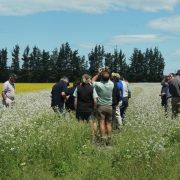 In this case there may or may not be insecticide resistance, but what is certain is that if the usual cheap, broad-spectrum insecticides (synthetic pyrethroids and organophosphates) are used then the pest will be favoured because the beneficial species will be eliminated. The low water volumes used in broad-acre spraying also ensure poor coverage and so only favour the pest. In horticultural crops spray volumes of 1,000 litres of water per ha are common in order to achieve good coverage. 60 litres per ha or less is never going to give comparable results for the same pest with the same pesticide. So our suggestion is to think very carefully before applying an insecticide that is likely to do nothing more than to flare pest problems. Look for beneficial species as well as pests. 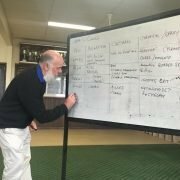 Contact an IPM advisor if possible.